Legislators are back in Lansing and are once again talking about transportation. No, not that pesky, seemingly never ending effort to increase transportation funding (though we’re still optimistic that legislators can come to an agreement on that issue before 2016!). The issue currently being discussed in the House Transportation and Infrastructure Committee is speed limits. Or more specifically, raising speed limits. The committee has been taking testimony on a package of bills that would set speed limits by the 85th percentile standard. This standard is based on the belief that drivers operate with a rational set of expectations for how fast they can safely travel and adjust their speed accordingly, regardless of any posted speed limit signs. After tracking vehicular traffic, the speed limit would be set at a speed is exceeded by only 15% of drivers, with the remaining 85% traveling at or, more likely, below that speed. But this method can ignore vital components of our road system, such as the engineering design, sight distance, pedestrian access and more. 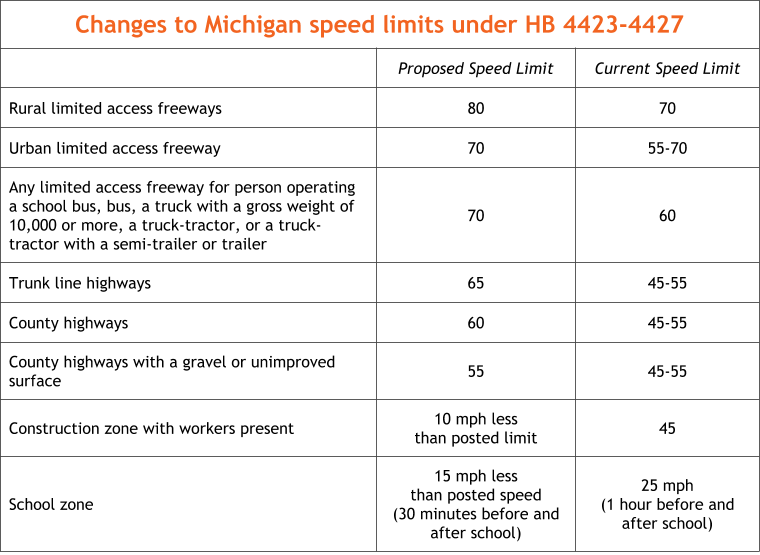 If passed, this package of bills would set Michigan’s speed limits higher than any other state east of the Mississippi. This speed, according to Timothy Gates, Associate Professor at Michigan State University, is an unprecedented act in a region where rural freeways look dramatically different than in the plains or mountainous regions. “Rural freeways in Michigan carry a lot more traffic and have more frequent interchanges than states in the West,” he said. In real terms, this legislation would broadly change Michigan speed limits, an act that both the Michigan State Police and Michigan Department of Transportation caution against. These bills could increase our speed limits upwards of 10 mph faster than current limits. Rural and urban freeways could be 80 mph and 70 mph respectively and highways could be as high as 65 mph. The speed limit for trucks and buses, including school buses, would also increase so that they could be authorized to travel at 70 mph. Trans4M and our member groups believe that these speeds post a new set of problems that need to be addressed before we trade our safety for quicker driving times. What about that old adage that speed kills? Proponents of HB 4423-4427 argue that raising posted speed limits to the speed that 85% of drivers already use prevents reckless driving like passing and tailgating. They also argue that raising the speed limit won’t provide an incentive for the already fast drivers to further increase their speed. Following the 85th percentile standard, they believe, will actually make driving safer for Michigan. And yet, speed does kill. Automobile accidents are a leading killer in the nation, ranking number one among teenagers and accounting for 39.2% of all accidental deaths of children aged 1-14 in Michigan in 2013. We’re already seeing traffic-related deaths increasing dramatically this year, with 19,000 deaths reported nationally during the first 6 months of 2015 alone—a 14% increase over the same period last year. If this trend continues, this year may have the most automobile-related deaths since 2007. In Michigan there were 729 deaths reported as of the posting of this blog, despite Michigan’s Toward Zero Death safety campaign. We know 90% of traffic-related deaths are due to driver behavior, and that includes traveling at an unsafe speed. In 2014, 21% of the 806 fatal crashes in Michigan were caused by excessive speed. The Federal Highway Administration says that speed results in an increase in crash occurrence as well, meaning that with higher speeds under these new limits Michigan could see more accidents and fatalities. MSU’s Gates testified before the House Transportation and Infrastructure Committee that an increase from 55 mph to 65 mph on non-freeways would increase the total crash rate by an estimated 3.3% and cause more severe injuries in these crashes, though that number could be higher or lower. But drivers and passengers aren’t the only ones at risk. Higher speeds mean less reaction time for drivers to brake if they are about to hit a pedestrian or bicyclist. The National Highway Traffic Safety Administration estimates that it takes 1.5 seconds for a driver to react to an obstacle on the road, with this time doubling or more if the driver is distracted, inebriated, or fatigued. The distance that a car travels after hitting the brakes increases dramatically with speed. When designing a rural highway, the American Association of State Highway and Transportation Officials recommends a stopping sight distance of 850 feet for a vehicle traveling 80 mph. By comparison, the recommendation for a vehicle traveling the current speed of 70 mph on our rural freeways is 680 feet. 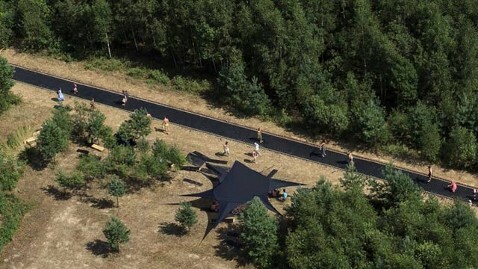 That is a difference of 170 feet, which is approximately half the length of an American football field, or the distance of this trampoline installed in this Russian forest. A driver travelling at this speed realistically needs this extra 170 feet, in dry road conditions, to react and come to a full stop before hitting an obstacle in the road. Pedestrians and bicyclists are already at greater risk of serious injury or death in a traffic crash. Between 2005 and 2010, Michigan pedestrians accounted for 0.4% of all crash victims, but 12.7% of all fatalities in traffic accidents. We already know that the likelihood of a pedestrian surviving being hit by a car goes up as the car’s speed goes down. Increasing speed from 20 to 30 mph increases the likelihood of pedestrian fatality by 40%. Pedestrians aged 60 and older are even more susceptible, with a 92% probability of a fatality when struck by cars traveling 40 mph or more. Bicyclists face similar risks on Michigan roads. 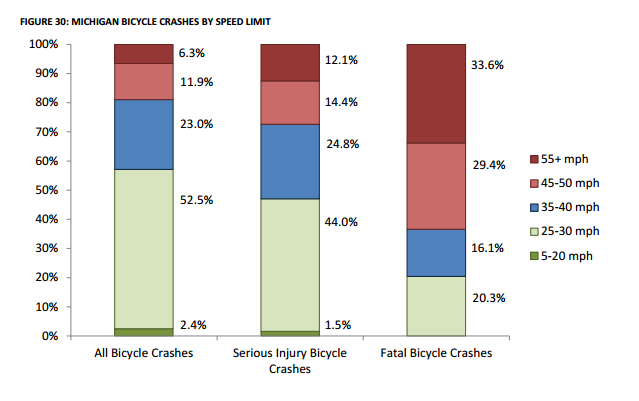 2,068 bicyclists were involved in traffic accidents in Michigan between 2005 and 2010. 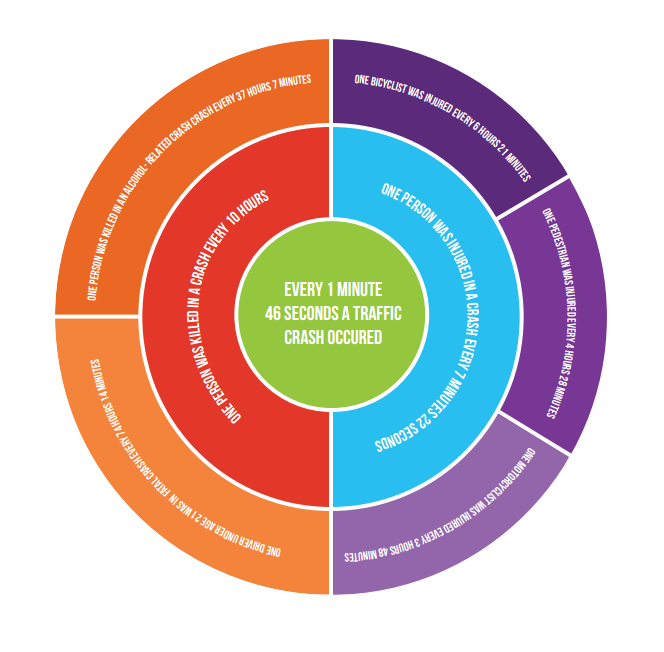 While the majority of these accidents occurred on two-lane, local roads with speed limits between 25 and 30 mph, the majority of fatalities occurred at higher speeds. School and construction zones would change too. Increasing speed limits on limited-access freeways is dangerous for drivers. Increasing the speed limit on highways puts pedestrians and bicyclists at risk. But most alarmingly, the proposed legislation changes the speeds for school and construction zones, ultimately putting our most vulnerable road users in harm’s way. 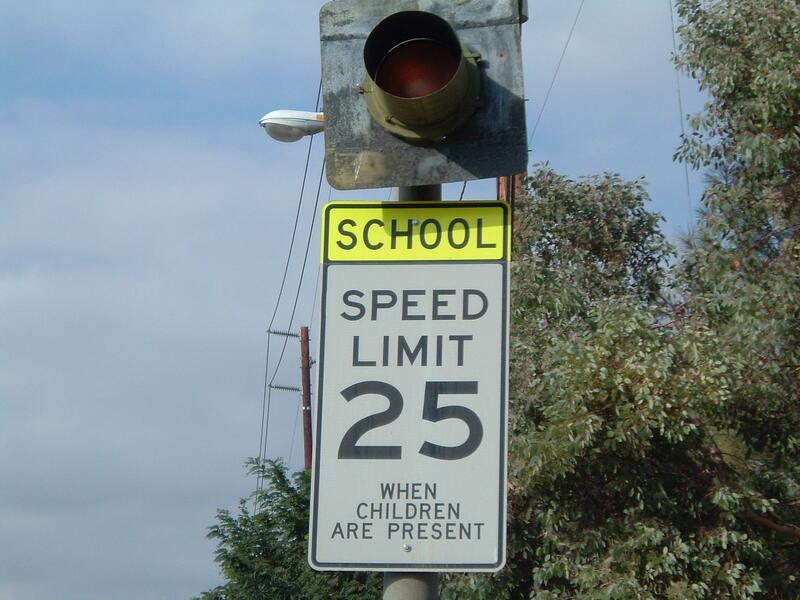 Currently, school zone speeds are in effect for a minimum of 1 hour before school begins and after it ends. The speed limit is a standard 25 mph, but local authorities have the ability to lower that speed limit further, request school crossings and establish a speed limit for any street in a school zone that has sidewalks on at least one side. HB 4424 would change the standard so that the speed limit is not more than 15 mph less than the posted regular speed, with 25 mph being the lowest allowable speed. It would also restrict local ability to set these important school zone features and reduce the school zone period from 1 hour to 30 minutes. Students are already at risk while traveling to school. A Transportation Research Board national study found that between 1999 and 2002, over 11,600 students aged 5-18 were injured while walking or biking to school. Distracted drivers or drivers not adhering to the set school zone speed limit require students to be especially aware of their surroundings. Raising the speed limit and reducing the time of the school zone doesn’t accomplish anything other than adding yet another barrier for students to safely get to and from school. Construction zones would face similar changes. 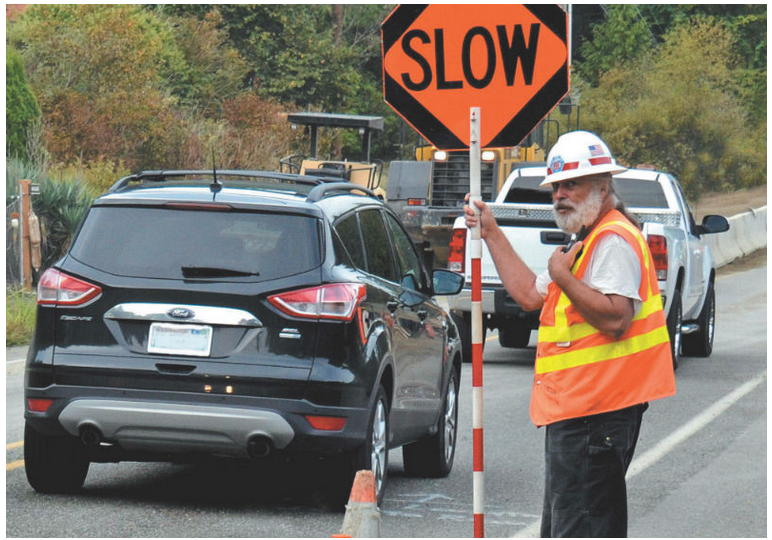 Construction zones are currently set at 45 mph when workers are present. HB 4423 would instead make the speed limit no more than 10 mph less than the posted speed limit. On a limited-access freeway with 1 lane closed for construction, that speed limit would be 60 mph. This puts construction workers at risk, but we know that the majority of injuries and fatalities in work zone related incidents are actually drivers and their passengers (which doesn’t mean that construction workers aren’t also at risk, as was the case in the fatality on Monday evening). Traffic accidents involving work zones are already on the rise, with a nearly 100% increase in serious injuries in work zones between 2012 and 2013 in Michigan. It’s not a secret that the automobile is king in Michigan. We love our cars, and we should be able to travel quickly to the places we need and want to go. But that doesn’t mean we should ignore the socioeconomic benefits of having communities that prioritize alternative means of transportation, such as public transit, biking and walking. Communities that encourage walkable downtowns experience an economic boom. Infrastructure such as bike lanes, sidewalks, on-street parking, and traffic-calming trees and medians all increase the walkable environment, which in turn encourages business for retail and restaurants. According to a 2013 Active Living Research report, “evidence suggests that rents in walkable shopping areas can be 27-54% higher than in non-walkable areas. Many of the most successful recent shopping developments have been located and designed to attract a substantial walk-in population.” Speeds both through downtown and surrounding areas play a large part in making walkers, as well as transit users and bicyclists, feel safer getting to these shopping and dining opportunities. While the proposed legislation would not necessarily change speeds in downtown business districts, it still sends a clear message to Michigan businesses and residents that getting you through town at a high speed is our priority. This contrasts sharply with how other states and some Michigan cities are approaching complete streets as they focus energy and dollars into the engineering solutions to make downtown districts and nearby streets a safer place for residents and businesses. Increasing Michigan speed limits by 10 mph and using the 85th percentile standard is a short-term solution that ignores the long-term vision of transportation and community growth. John LaMacchia of the Michigan Municipal League warns, “when we look at the 85th percentile of speed, it should be a diagnosis not a prescription.” Legislators should consider all impacts of this proposal before making a decision that will affect the lives and safety of Michiganders on the road. ← Intern with Transportation for Michigan!